SRJC Arts and Lecture Series presents Making Cultural Assets Count: Funds of Math Knowledge in a Yucatec Maya community and middle school by Dr. Felicia Darling. I will present on my 6-month, ethnographic study in the Yucatán (lots of pictures). The wealth of cultural knowledge students bring to all of our classes is remarkable. This study highlights community knowledge and innovative, everyday problem-solving approaches that students bring to math class. This is on Monday, September 24, 2018 in the SRJC Neuman Auditorium from 12:00 to 1:00pm. It counts a PD flex at SRJC. I am offering two six-week, ACTIV8 MATH ONLINE SUMMER MATH COURSE/TUTORIALS via Skype and Scribblar. Courses begin during the week of June 18, 2018. Each of the six, one-hour sessions will be limited to 2-3 students, so students will be paired with a learning partner–or they can enroll with friends. These interactive, problem-based courses/tutorials will bolster skills necessary for excelling in Algebra I or Algebra II in 8th grade or high school. Activities are designed to shift student attitudes toward a Growth Mindset and feeling more confident as competent math learners and mathematicians. Activities will utilize the Common Core Math approach and the 8 Mathematical Practices. The online format of the class makes it perfect for students who are traveling, but still want to devote time to strengthening their math skills over the summer. The price is $500 for the six week course. Please submit a $100 deposit by April 30th to reserve a space. Full payment is due by May, 30, 2018. Contact me at fdarling@alumni.stanford.edu or 707.483.5113 with questions, to enroll, or to try out the online format. Students will need a tablet and pen to take online courses. I love the way Berkeley GSE is so unapologetically radical:) Presented at the University of California, Berkeley Graduate School of Education18th Annual Education Research Day. Dr. Felicia Darling will be a guest on Ben Woodford’s live radio show, Modern Education, on Stanford’s KZSU. Please, tune in Friday, March 16 from 3:00pm to 4:00pm at 90.1 FM or http://kzsu.stanford.edu/live/. 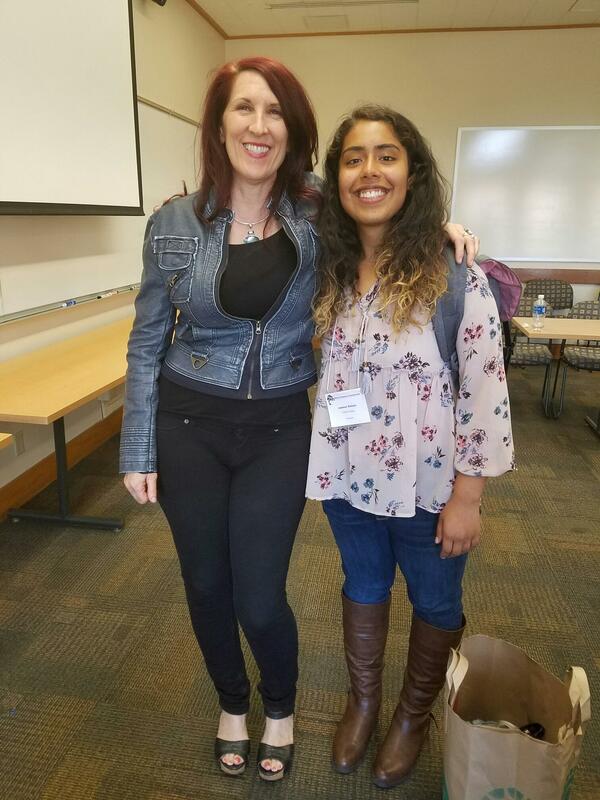 I am so proud of Jasleen Sahota–one of my previous math tutees, and currently a student at Foothill College. She just presented with Sophia Nikravesh at Stanford at the Bay Honors Consortium Research Symposium on May 6. The title of their research study was, “Make ‘Em Laugh: An exploration of the not so laughing matter of gender biases against female comedians on YouTube.” I was so impressed by her mixed method approach and how appropriate her methods were for her research question. Also, her research is relevant to a pressing issue in society. 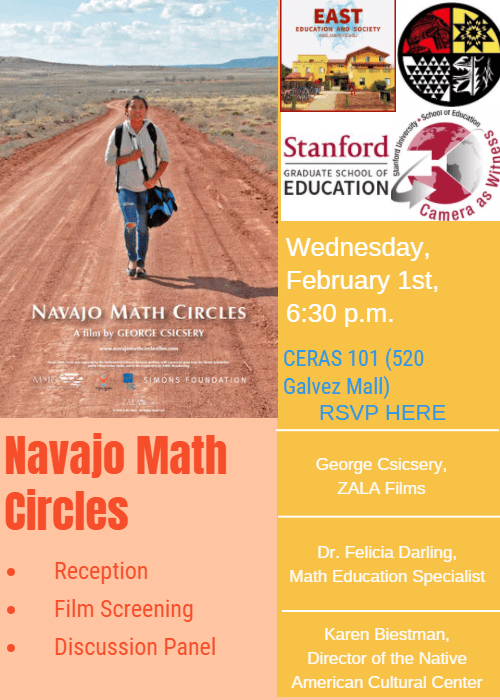 I am honored to be invited to participate in a panel at Stanford following a screening of the video Navajo Math Circles, because of my research with math in an indigenous community in México. The panel will include George Csicsery, the filmaker, Karen Biestman, Associate Dean & Director of the Native American Cultural Center at Stanford, and Dr. Felicia Darling, Ed Specialist in Math at MCOE. The event is from 6:30pm to 9:00pm in CERAS 101. It is sponsored by the EAST House. 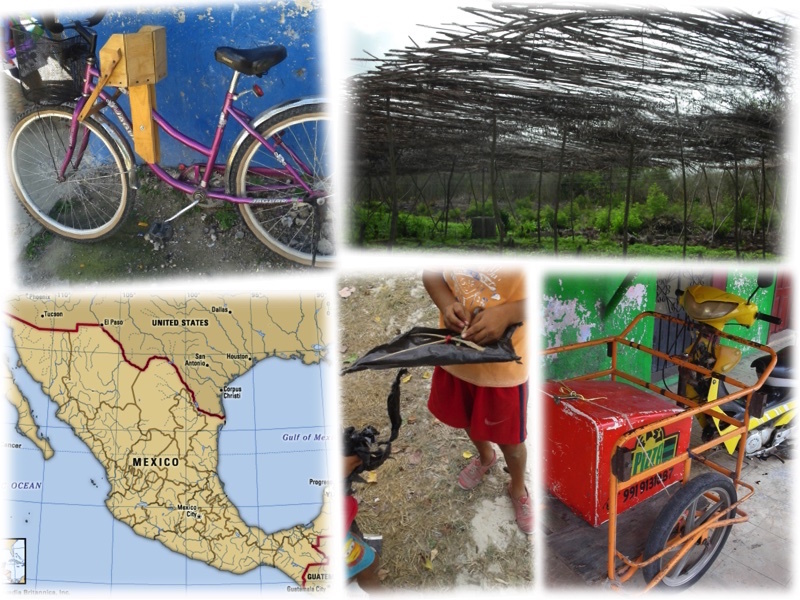 A mini-video from my presentation at APA Division 45 & PME-NA on my study Making Cultural Assets Count: Community Approaches to problem solving in Yucatec Maya math classrooms.